Winner of “Best Product” at Scandinavian Furniture Fair 2000. 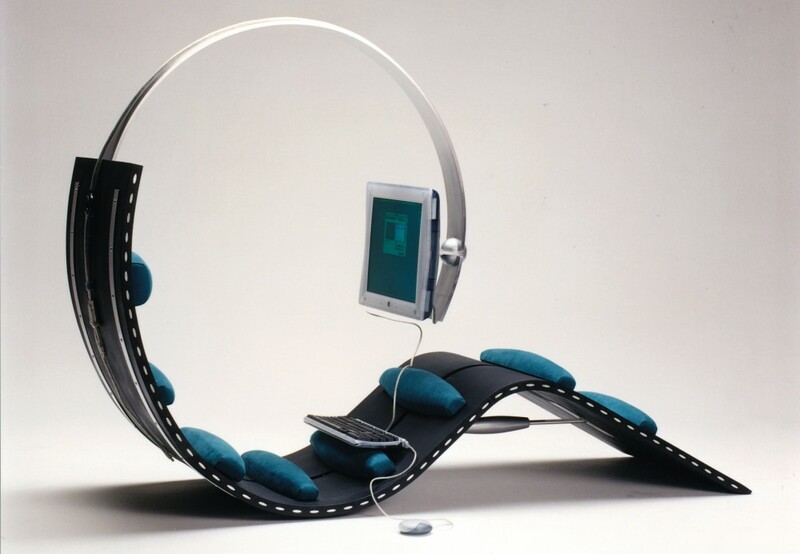 The Surf Chair® has been developed in collaboration between industrial designer Kenneth Lylover & Leif Sørensen for the ‘Internet Collection’ competition at the Scandinavian Furniture Fair 2000. Among 15-20 other designs from the Internet Collection talent zone it was nominated ‘Best Product’ and covered in several Danish and international magazines and news papers; Danske Møbler (DK), Politiken (DK), Form (S), Shotenkenchiku (J), Wohnen (A) among others.The Surf Chair® includes an ergonomically adaptable cushions with Tempur pressure sensing foam. They can be adapted to fit every persons ergonomically needs by simply sliding each of the cushions into the desired place. The design process and development of this innovative and trend setting computer chair covered all the classic aspects of being a professional designer. From early concept and design sketching to simple mock-up models, sorting materials, suppliers and finally hand-crafting a full working prototype all by us self. Done by hand the prototype was done by moulded wood.